Like no other band, their music captures the feeling of living with the music you love, in all its permutations of euphoria and complacency and companionship. 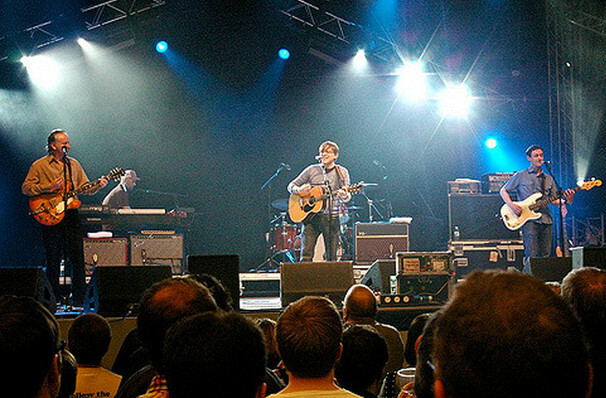 Hailing from the little known town of Bellshill, Scotland, indie pop stalwarts Teenage Fanclub initially put its pastoral climes on the map with a penchant for guitar-heavy anthems, placing them at the forefront of the 90s alt rock wave. Over time, the outfit flexed their creative muscles and evolved their sound within the realms of nostalgia-filled 60s and 70s power pop, callling to mind the sounds of classic Cali bands The Byrds and The Beach Boys whilst retaining a biting modern rock edge. Unafraid of a hook-laden, radio-friendly chorus, they soon found major labels knocking on their doors, and they broke into the mainstream with their Geffen-released debut album Bandwagonesque in 1991. After a whirlwind 2018 that saw the band tour copiously, as well as delve into their past glories by revisiting and reissuing five of their earlier releases, i.e. Bandwagonesque, Thirteen, Grand Prix, Songs From Northern Britain and Howdy on vinyl, Teenage Fanclub said a fond farewell to founding member Gerard Love. Keen to keep up the momentum after his departure, the band hit the road with rumoured new material in tow on a hotly anticipated 2019 North American Tour. Seen Teenage Fanclub? Loved it? Hated it? Help your fellow Durham Theater visitors by leaving the first review! Sound good to you? Share this page on social media and let your friends know about Teenage Fanclub at Cat's Cradle. Please note: The term Cat's Cradle and/or Teenage Fanclub as well as all associated graphics, logos, and/or other trademarks, tradenames or copyrights are the property of the Cat's Cradle and/or Teenage Fanclub and are used herein for factual descriptive purposes only. We are in no way associated with or authorized by the Cat's Cradle and/or Teenage Fanclub and neither that entity nor any of its affiliates have licensed or endorsed us to sell tickets, goods and or services in conjunction with their events.